Fabio became famous by posing on the covers of romance novels. He even wrote a few of his own. These days, he has his own line of nutritional products. He didn’t get to be so buff and good looking just by luck. He eats well, stays fit, and takes care of himself. Now he helps others do the same. We recently met Fabio when he was signing autographs and taking photos with fans while touring Whole Foods stores in the US. He was happy to help us teach some health and body building slang, and tell us about how he learned English. Fabio: Hi, this is Fabio, and this is English, baby! 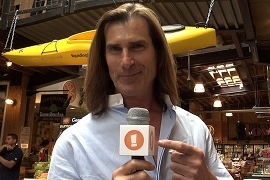 Jason: Fabio recently toured Whole Foods stores in the US to promote his new protein product. Fabio: It’s the highest quality whey protein today in America. Jason: We asked him to teach an English lesson about fitness. What does it mean to be fit? What does that term mean? Fabio: Fit is like to be in shape. It’s very simple. Unfortunately, God gives you only one body. The body you’re born with is the body you’re going to die with, and when you really take care of your body, your body will take care of you. It’s almost like a car, if you put the best gasoline in your car and you do the oil change, your car pretty much is not going to leave you in the middle of the street. The same with your body. If you really take care with good food, healthy food, and great supplements, high quality supplements, it’s amazing. You really don’t need to be a scientist to understand your body. When you give the highest quality protein to your body, every single cell reproduces better and faster. It doesn’t matter if it’s your hair, your skin, your muscle density, your bones, your organs, your tendons, your nails, everything regenerates because of protein. Those are the building blocks. Jason: You’re a little bit more than fit. One might say that you’re buff or built. Could you tell us what those terms mean? Fabio: Normally when you have bigger muscles than average, you’re buff. Simple as that. Jason: You learned English as a second language. Can you tell me about how you learned English? Fabio: Just living in the United States. Just talking to people and doing business. Jason: Was it ever hard? Fabio: In the beginning. Because normally what you do is you think in your own native language, so it’s very hard. You have to think and try to translate. That’s why sometimes you hear many people, you can see they’re thinking and they try to translate. First they formulate a sentence and after try to translate from their language to the other language and it doesn’t make sense. You have totally to flip, to switch the way of thinking to be able to speak another language. Jason: Definitely. That’s good advice. Thanks, Fabio! Fabio is very famous for being strong and good looking. Anyone can be fit if you exercise and eat healthy food, but Fabio isn’t just in shape. He’s buff. He has big muscles. For many years, Fabio has appeared on the covers of books and on TV. Now he has a line of whey protein. He says supplements are a good way to take care of your body. He looks like he knows what he’s talking about. Fabio is from Italy. He says he learned English when he got to the US, and the hardest part was training himself to think in English. How do you stay in shape? Do you think in English? Learn more about Fabio and his protein on our blog. We should eat health food to build our body. 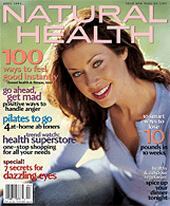 The articel is sample and the advices are good. situs dimana anda akan mendapatkan tips dan informasi yang paling lengkap tentang bagaimana jual hajar jahanam. This is going to be a FUN addition to our class this month. I have some real fitness buffs who will tune in and learn some new vocabulary. as a matter of fact, health is God ’ gift to human and we should try not to lose it .by having exercise like swimming ,walking ….. and having good eating habits we can help our bodies tobe healthy. every moment ,we should thank God. Take care of yours. I’m impressed with the lesson! Great lessons to grow in the language..